Jolts measuring up to 6.0 magnitude rattled the country's ravaged northeast, but workers at Fukushima Daiichi are pressing on to restore electricity to all six reactors. Lennox Samuels reports. Residents in Tokyo are buying up bottled water now that radiation has been found in the city’s tap water and officials are warning Tokyo's municipal water may be harmful for infants to drink. The Daily Beast’s Lennox Samuels reports from Tokyo on the new anxiety. Tokyo residents rushed to stock up on bottled water Wednesday night after the metropolitan government announced that authorities had detected iodine in tap water. Mothers, especially those with young children, were especially panicky, because officials warned that the radiation is harmful to babies. The health ministry has suggested that parents, daycare centers, and others not use tap water when preparing infant formula. Some neighborhoods have started a type of informal rationing, as convenience stores are permitting each person only two 1-liter bottles of water each. Tokyo’s water department warned that this panicked buying makes it difficult for many to obtain safe water, while metro officials said they’ll distribute more of the scarce liquid to needy families. They also called for an increase in production of mineral water. The water-contamination scare follows a directive earlier this week by Japan’s central government prohibiting the shipping of some vegetables from Fukushima Prefecture, where the stricken Fukushima Daiichi nuclear plant is located, as well as the states of Ibaraki, Tochigi and Gunma. The products include spinach and another leafy vegetable called kakina. The move followed the detection of above-normal radiation in the produce. The government also asked Fukushima dairy farms to stop shipping raw milk, for the same reason. The government’s warning stressed a risk to children 1 year old and younger, but even parents without infants were purchasing bottled water. Concerns about tap water developed on the same day that workers at the nuclear plant tried to end the country’s nuclear crisis by trying to restore power at the facility, amid signs that efforts to rein in persistent setbacks at reactor No. 3 are paying off. A trio of quakes early Wednesday morning, measuring up to 6.0 magnitude, were reported in Fukushima. But employees of Tokyo Electric Power Company, which operates the facility, remained focused on avoiding a meltdown and the release of additional radiation. Workers were back on the job after a fire scare forced them to evacuate the plant on Tuesday. Lights were reported to be on at the No. 3 reactor and its control room was back in operation. Workers were preparing to distribute electricity to all six reactors at Daiichi. TEPCO is eager to move beyond a seesawing pattern that has seen progress punctuated with new explosions, cooling problems and the appearance of smoke in the compound. Defense Minister Toshimi Kitazawa has said the smoke and steam at the buildings housing the Nos. 2 and 3 were not directly related to the reactor containment vessels or spent fuel rod pools. Despite such lingering questions, TEPCO is pressing on with the power restoration. The utility has come under increasing attack for its handling of the campaign to end the crisis, as well as a failure to quickly level with the Japanese people—and political officials—regarding the extent of damage, and especially, the risk posed by radiation levels at the plant and the area around it. In a classic Japanese move that would be considered quaint—if not a nonstarter—by Western executives, a senior TEPCO official apologized in person to people forced to evacuate their homes near the plant. Company vice president Norio Tsuzumi visited an emergency shelter in Tamura City, where about 800 evacuees from Okuma town are housed. He apologized to the crowd, many of whom wanted to know when they would be able to return home. That will not be soon. TEPCO also has acknowledged that it underestimated the earthquake and tsunami that struck northeastern Japan on March 11 and crippled reactors at Fukushima Daiichi. National Police officials raised the number of confirmed dead to 9,200, with almost 14,000 still missing. Most of the deceased perished in Miyagi Prefecture. The greatest share of the missing—5,000—hail from Iwate Prefecture, with 4,500 reported in Fukushima Prefecture, and about 4,200 in Miyagi. The casualty list includes Taylor Anderson, a 24-year-old woman from Virginia who had been teaching English at eight schools in Ishinomaki, a hard-hit city about 240 miles north of Tokyo. TEPCO said it had anticipated a quake of not more than an 8.0 magnitude and tidal waves below 7 meters high. The quake actually was 9.0, and the tsunami rose as high as 14 meters when it hit the plant. Nuclear expert Keiki Miyazaki, emeritus professor at Osaka University, said it was clear the utility did not anticipate or plan for a calamity of the scale of the March 11 natural disaster. He also said TEPCO appeared to have “hesitated” on a decision to relieve pressure within the reactors. “They should have taken that action sooner,” he told The Daily Beast. Miyazaki also said it was not clear why company officials had selected a low-elevation site for the plant, whose first reactors came online about 40 years ago. He said a remedy to consider going forward is to construct a high bank that would better protect the plant from high tidal waves. “The power plant should be waterproofed around the cooling pump,” he said. “It should be protected by the higher bank; that is the measure that should be taken, in my opinion.” The question may be academic, however. Authorities are expected to shutter the plant in the wake of the current disaster. 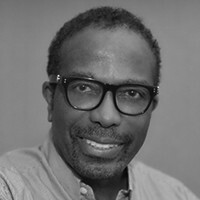 Lennox Samuels is a Newsweek/Daily Beast editor based in Bangkok. He covered the 2004 Indian Ocean tsunami.